In the central French Pyrénées on the flanks of the 2872m Pic du Midi, which is accessible by two-stage cable-car from the village. Although it’s a long drive from the cross-Channel ports, the journey became quicker and easier with the opening of the A65 autoroute from just south of Bordeaux down to Pau. Transfers are relatively simple from Pau and Toulouse airports (and from Tarbes TGV for high-speed rail travellers). 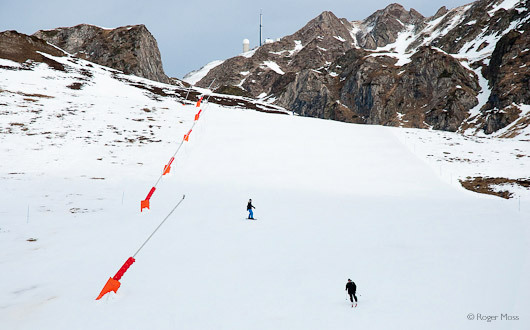 The Grand Tourmalet lift-pass covers the linked ski areas of La Mongie (1800m) and Barèges (1250m), which lie on opposite sides of the 2115m Col du Tourmalet (a celebrated climb in the Tour de France). The terrain on the La Mongie side is on either side of a relatively narrow valley, making things feel rather compact at first encounter. For novices it’s a good thing, of course, with ski-school areas readily accessible. 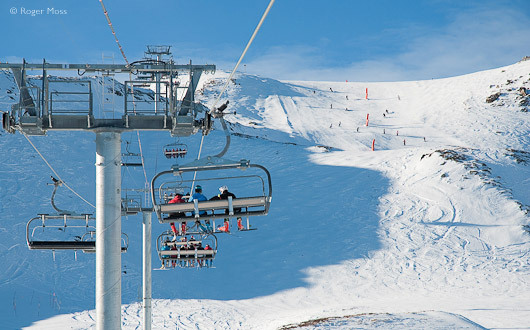 On the other hand, intermediates looking for Blue-graded cruising opportunities will find themselves taking the Espade chairlift to reach the northern sector further up the valley for another haul up to some reasonably long and not too flat descents from 2500m. Alternatively – and here’s where it gets interesting – head over the Col into the next valley, where things really open up. Although the return runs into Barèges itself are quite low, the piste teams usually manage to keep them open, and there’s plenty of terrain around the higher Super Barèges sector, with some charming descents through the forests above the town. La Mongie’s original purpose-built style is looking outmoded and won’t appeal to everyone, but each season brings significant improvements, as existing accommodation is upgraded to meet the expectations of today’s visitors. This modernisation effort is given a further boost by the presence of brand new self-catering apartments (see details in Where to Stay), although just about everywhere is conveniently situated for access to the lifts and ski-school assembly points. Happily the real-world approach to everyday practicalities also extends to the refreshingly affordable pricing of lunchtime menus in the village bars and restaurants. 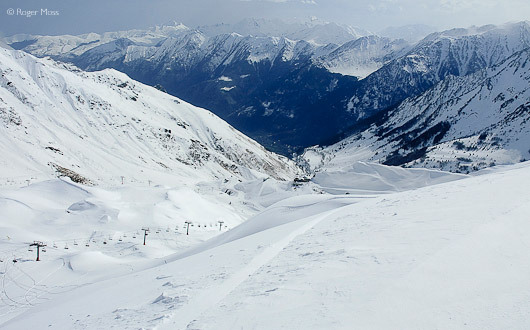 Why go skiing in La Mongie ? Family skiers looking for a solid-value, linked-domain alternative to the Alps without sacrificing a high-altitude location. In addition to readily accessible beginner and early-intermediate areas, there’s terrain for cruising fans and for those looking to raise their game on some steeps, too. The slightly homely overall feel is more than skin-deep; it’s a friendly place, both on and off the mountain. Travel-wise, the most obvious appeal is to anyone considering budget flights into Pau and Toulouse, but the Greener high-speed rail option into Tarbes also makes increasing sense. Solid value for both accommodation and dining. Village is trying hard to improve its appearance - and it's working. Altitude means snowfalls here can be surprisingly bountiful. Amazing mountain panoramas from the Pic du Midi. It’s a long drive from the UK. Lower terrain can get congested. You'll spend quite some time on lifts to reach the wider open spaces. If it's windy, you'll need to keep an eye on return lifts from Barèges. If you're a competent skier, aim high - and explore the sector which lies beyond the Col du Tourmalet. Traditional family-run hotel in the heart of the village with cosy family rooms and a large restaurant / breakfast room overlooking the village. Rooms at the front of the hotel enjoy mountain views. There's a very comfortable bar which stays open late and offers free Wi-Fi for guests. There's limited parking in front of the hotel. Shops, restaurants and access to the slopes just a short walk from the hotel. 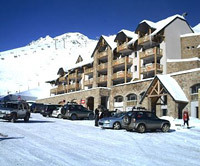 The Tourmalet ski residence is located within the ski resort and close to the slopes. The residence faces south towards the Pic du Midi and the slopes of the Domaine du Tourmalet. A free shuttle bus operates between the residence and the resort centre (500m away) until early evening. The apartments are fitted and furnished to a very good standard of comfort and convenience, with everything you need during your stay. The decor is simple, modern and cosy. They all have a fully equipped kitchenette, telephone (payable), TV and furnished terrace or covered balcony. Covered parking is available. Just 30 minutes’ drive from La Mongie ski resort, Aquensis is in the heart of the charming town of Bagnères-de-Bigorre. It has a relaxed atmosphere and a wonderful naturally-heated pool with waterfalls, chutes and jets in which to swim and relax, plus a separate enclosed quiet pool. The Treatments Gallery overlooks the main pool and has private care cabins, café lounge, and relaxation chamber. 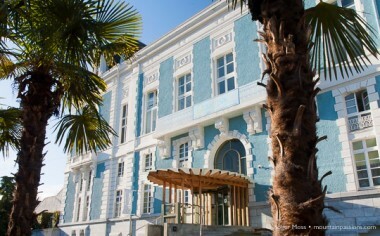 This is a great place to relax and try a thermal spa treatment. A few hints: Swimsuits (speedo type for men) are compulsory. You will require €1 coins for lockers. Bring towels or hire them at reception (€1,70 each). Young children must be up to date with their vaccinations. Friendly bar restaurant with a cosy chalet style interior close to the foot of the slopes in the heart of the village. There's a sun terrace or you can enjoy the comfort of the 60-seat restaurant indoors. For dining, choose from an excellent selection of hearty local dishes at reasonable prices (Plat du Jour around €10). One of very few places where customers can access free Wi-Fi. The cheapest option if there’s a group of 3 or 4 passengers who can share the driving and an easy drive south, most of which is on the autoroute. Allow about 150 euros for fuel and tolls and a full days drive. The recent A65 autoroute between Langon (after Bordeaux) and Pau saves about an hour on the journey time (péage). From Pau join the A64 motorway and take exit 12 (Tarbes-Ouest). Exit 14 (Tournay) if you're coming from Toulouse. Look out for flights to Lourdes-Tarbes airport (48km). 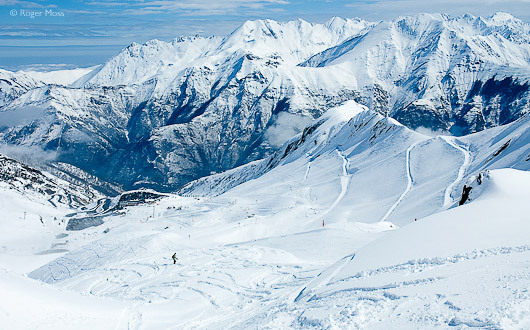 You can also fly into Pau which has a greater choice of flights or Toulouse-Blagnac is a third possibility though you would need to hire a car to access the ski resort. Take the Eurostar to Paris then Paris - Tarbes TGV ( journey time just under 6 hours). There is a shuttle service to La Mongie or there is also car hire available at the station. The initial impressions of La Mongie can come as something of a surprise. Not only is the village visibly purpose-built but the location, towards the upper end of a deep and largely treeless valley, creates quite an enclosed feel. The upside of this is that it’s relatively sheltered – reassuring since a glance at the surrounding peaks tells you why in a typical season they can catch some serious snowfalls here. This was amply demonstrated during our own first visit some years ago, when heavy falls completely buried the signage which would have warned us not to park our car overnight in the very spot where we’d left it in all innocence. Next morning we were quite surprised to discover that the Municipal Police had removed it from what turned out to be a coach park and placed it somewhere more secure – and even more so that we hadn’t been fined for the misdemeanour. It’s a sign that things here are clearly rather more relaxed than is usually the case over in the Alps. Below is a long Blue-graded cruise on Bergers, one of the most memorable runs in the Pyrénées, not least since the wild, craggy upper section feels almost like skiing a relatively benign couloir. The compact layout of the village means that just minutes after leaving our hotel we’re already heading up the valley on the Chapelle chairlift. The rapid, near-horizontal ride provides the perfect introduction to the layout of the lower pistes before dropping us neatly between two more lifts. One of them – Espade – would haul us straight up to the Col du Tourmalet (2115m), a pleasure we forgo while we head in the other direction to ski the northern sector. 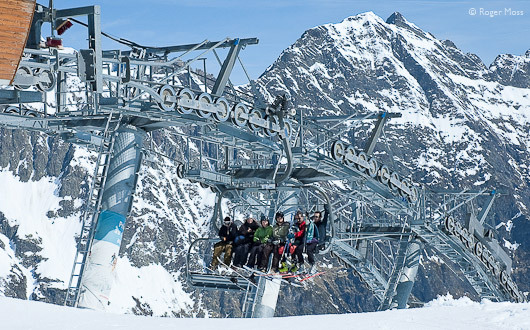 By the time you read these words the old Pourteilh gondola which since 1969 carried countless skiers up to 2248m will have been replaced by a brand new six-seater high-speed chairlift. At the top it’s possible to ski a couple of long, Blue-graded descents (one of which divides before its mid-point) all the way down, or merely ski a few hundred metres and transfer to the Quatre Termes chairlift for a final. 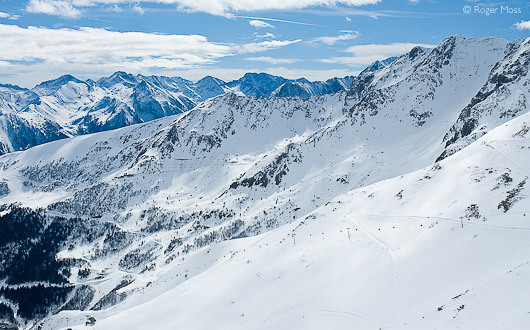 The onward rather leisurely haul takes you up to 2500m, the highest groomed terrain in the Grand Tourmalet ski area. Above lies the Pic des Quatres Termes (2724m) and below a long Blue-graded cruise on Bergers, one of the most memorable runs in the Pyrénées, not least since the wild, craggy upper section feels almost like skiing a relatively benign couloir. Some of the steeper turns can also develop moguls, putting this run on the upper limits of its Blue rating, but it’s great fun and we’re genuinely sorry when we reach the end of the descent. Given a longer stay, this is one we’d undoubtedly be skiing again. Having got it out of our system, we’re now free to take the six-seater Espade chairlift up to the legendary Col du Tourmalet, of Tour de France fame. At the top there’s a stiff breeze (not unusual here) so we don’t spend too long taking in the spectacular onward views. In calmer conditions we might have turned right and taken a Green-graded run down to the Coume Lounque I and II draglifts, to reach a Red piste running through a high valley in the south-east sector below La Taoulet (2341m). Or maybe a long, Black-graded plunge via Coume l’Ayse over towards Barèges. That’s where we’ll actually be heading anyway, although in the present blustery conditions a rather less demanding Blue looks like the preferred option. Below the Col the wind drops dramatically and our attention focuses on the views ahead. Things look and feel different on this, the Barèges side; the valley is much wider, and there are large tracts of forest on the mountainsides above the village, softening the landscape. Our run down Isards is made more entertaining than usual by the presence of icy, compacted snow beneath our skis, but lower down things begin to soften just a little, and we can finally relax and get back to enjoying the scenery. Beyond the loading area of the Tourmalet chairlift (which provides the return link to La Mongie via the Col) our run on Bastan, a lone Blue piste, begins to make us feel we’re now covering some distance, and there’s more to come. A spot of cruising, anyone? permitting, it’s possible to ski from here all the way into Barèges on a gentle, Green-graded cruise visible from time to time from the route serving the Col – if not, you can simply take a shuttle-bus. Sadly we’re unlucky today; next time, maybe. For now, though, our thoughts are more focused on the runs which lie among the forests on the mountainside to our left, so we take the Tournaboup 4-seater chairlift. As the novice area slips away slowly beneath us we head up through the trees and alight in a large clearing at around 1800m. It’s a fine spot for the La Laquette mountain restaurant and brings access to a choice of very different terrain. Head left and ski down to the Castillon four-seater chairlift and you’ll reach some fine Red and Blue descents in the Laquette sector, for an onward plunge into the valley of Le Lienze. Alternatively, turn right and take a gentle Green-graded amble through the forest – which is exactly what we do, the reward for our curiosity being an unspoilt, away-from-it-all world normally only accessible to snowshoers. We don’t want this to end, so when we reach Le Lienz we take one of the two Etoile draglifts up to 2000m for another wooded run. Looming above us is the Pic d’Ayre (2416m) whose flanks appear to offer some interesting off-piste potential, but as time is now tight we take the Red-graded descent (although there’s also a Black, which is narrow and usually moguled) back to Le Lienze. Working our way back to the Col du Tourmalet brings not only a new perspective on the landscape but also the skiing itself. In contrast to the quite gentle cruising which brought us through this sector, we find more of the kind of the up/down progress which is the rule elsewhere, underlining the kind of skiing on offer above Barèges. Once back over the Col, though, it’s simply a matter of relaxing on a gentle, uninterrupted cruise which gets us right back where we started.